There was a baseball game played between the Miami Marlins and the New York Mets last night at Citi Field, but I can assure you the sold-out crowd didn’t show up to watch two mediocre teams play the second-to-last game of the season. The fans showed up to bid adieu to their captain, because for so many fans, for so many years, David Wright was the Mets. The lone bright spot during losing seasons, the catalyst behind thrilling playoff runs, and an amazing teammate and ambassador for the game of baseball. Health robbed the greatest position player in franchise history of a chance for immortality in Cooperstown, but Mets fans made it clear Saturday night that they’ll never forget Wright’s immense contributions to the franchise. And honestly, how could they? Will we ever get tired of watching that catch? Or the World Series home run? Because if we do, there’s an entire career’s worth of legendary, legacy-defining moments that Wright left us with. If that’s not enough, he’ll even walk away as the franchise leader in hits, doubles, RBI and extra-base hits. Good baseball players (and all professional athletes in general), whether they like it or not, become role models for the next generation of the game. They’re thrust into a role of leadership at a young age solely because of their athletic abilities, an unfair proposition no matter which way you slice it. Some take the responsibility seriously, some don’t and some even use their platform to do some absolutely incredible things. David Wright took that responsibility seriously and used his platform to inspire real change in the community, yet somehow that still doesn’t even begin to describe the type of human being he is. His body betrayed him time and time again, as did ownership and the front office, but Wright’s ninth baseball life allowed him to go out on his terms. The Mets only found him two plate appearances in his last ever game — he went 0-for-1 with a walk — but David looked as happy as he ever has after he was lifted from the game. We all would’ve liked to see him play semi-regularly in September, or even for a couple of more innings on Saturday, but Wright seemed genuinely elated with how his career ended. How many athletes can say that? Saying goodbye to some of the best things in our life is, unfortunately, a part of the human experience. We get to know people and become familiar with them, only for them to leave us in one capacity or another. 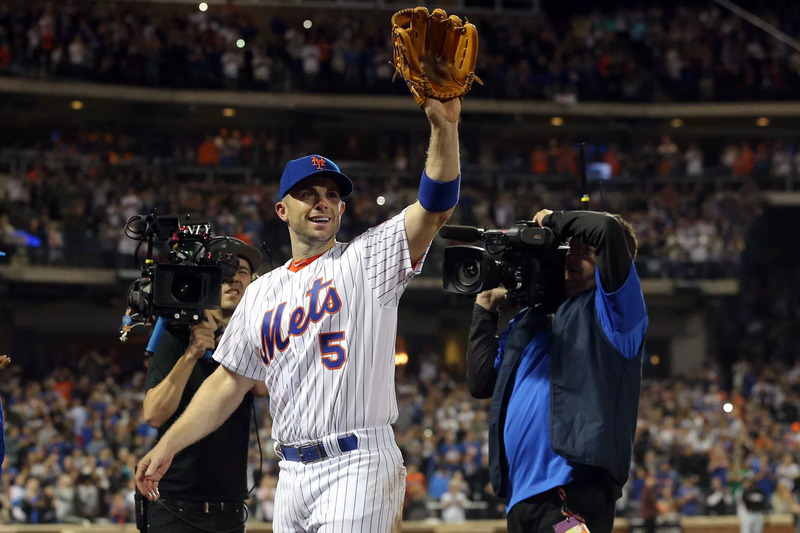 The end of David Wright’s baseball career is the end of many of our childhoods. Waving him into the sunset hasn’t been easy for us because he’s all we’ve ever known as Mets fans. The impact he’s had on many of our lives transcends his baseball ability. When David walked into the Citi Field dugout for the final time, it hit us all. What is our Mets fandom without him?